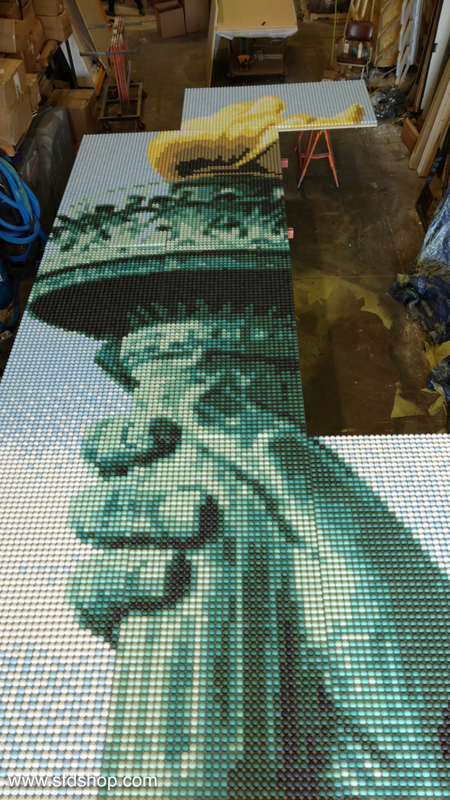 Custom fabricated over-size sculpture detail of The Statue of Liberty, comprised of over 20,000 ping-pong balls, each hand-dyed. This piece is a permanent installation in the KCG corporate office. Designed and produced by ThinkSo Creative.